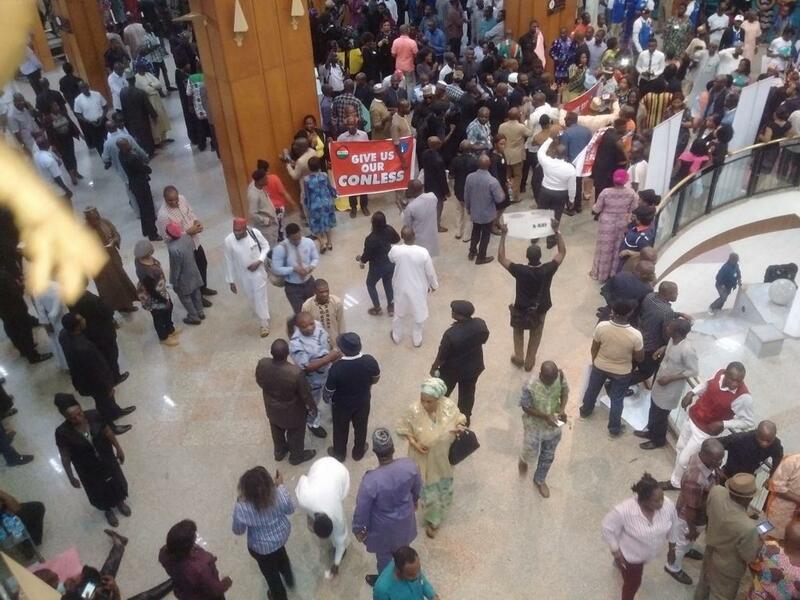 The House of Representatives has resolved to investigate the circumstances surrounding the protests by members of the Parliamentary Staff Association of Nigeria on Tuesday leading to the picketing of the chambers. The lower chamber of the National Assembly also urged President Muhammadu Buhari to forward the new minimum wage bill, as jointly proposed to him, to the National Assembly for consideration. Adopting a motion by Mr Sani Zoro (APC, Jigawa State) at the plenary on Wednesday, the lawmakers unanimously resolved to set up a joint ad hoc committee with the Senate to probe into the labour action. Moving the motion, Zoro called for legislative intervention in the ongoing crisis between the Federal Government and the Academic Staff Union of Universities, leading to the current strike by the union. The lawmaker said the House was also disturbed that members of PASAN picketed the chambers to press home their grievances despite that the legislature had the responsibility to address such issues in the polity. Zoro also prayed that the Federal Government should henceforth and in good faith, implement its agreement with ASUU to prevent incessant strikes by the university lecturers. The Speaker, Yakubu Dogara, put the motion to voice vote and it was unanimously granted by the House.